Carpal tunnel syndrome is a disease caused by a pinching or narrowing of the bundle of nerves with the same name as the disease. The carpal tunnel runs through the palm side of the wrist and controls movement of the fingers. When the tunnel becomes compressed, it can result in pain and numbness, weakness in the hand, and several other symptoms. As our Boston workers’ compensation attorneys have seen in many cases, pain originating in the wrist and hand can radiate up the arm to the elbow, causing a significant amount of discomfort. It is also common for the pain to get worse throughout the day to a point where it is extremely painful at night, and this results in sleeping difficulty for many employees. One of the problems with this disease, other than the physical symptoms, is that people do not always think of it as an on-the-job injury for which they can recover workers’ compensation benefits. In reality, CTS, like other repetitive stress injuries (RSIs) is valid reason to file a workers’ compensation claim. If you have carpal tunnel syndrome, you should tell your employer immediately and see a doctor. However, there is great deal of debate over the best treatment options for carpal tunnel syndrome for injured employees. While some doctors are quick to perform surgery, others are concerned that results are not always promising, and people have even had more damage from the operation than they suffered prior to having surgery. For this reason, people are looking to alternative treatments for carpal tunnel syndrome, and, according to a recent news feature from the Sioux City Journal, yoga may hold the answer for those with chronic pain from CTS. 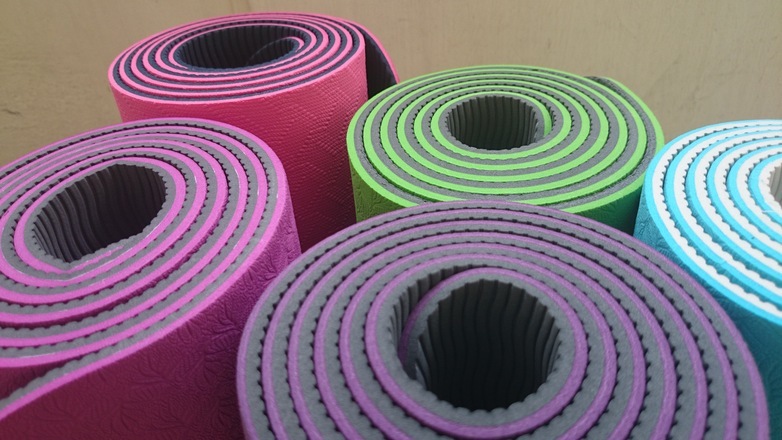 Studies have shown people with CTS may benefit from yoga, as it has helped to significantly reduce pain in patients diagnosed with the chronic disease. These studies involved randomized clinical trials, and the results also show yoga helped increase flexibility and strength in CTS patients. There were also additional benefits, such as stress reduction and reduced anxiety. Yoga sessions for patients involved in the study were between 45 minutes and 90 minutes, though researchers believe shorter yoga sessions would benefit most people if done a few times a week. While there are many different types of yoga performed around the world, the most common form of yoga practiced in the United States is know as hatha yoga. This form of yoga involves practitioners performing a series of standard poses known as asanas. In addition to pain relief and mental health benefits, there is some evidence to suggest practicing yoga may also help with inflammation and with helping the body’s immune system fight viral diseases. Since many injured workers tend to suffer from a combination of disabling conditions, these benefits might help as well. It also appears to modestly lower blood pressure, though not to a greater degree than other forms of exercise.